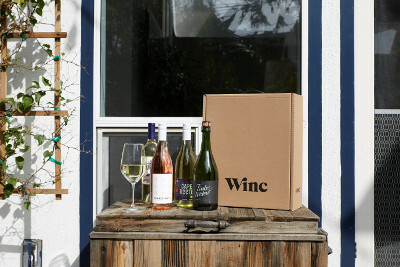 Winc Review by Bekki Lindner | Meet Winc - A Personalized Wine Delivery Service! Save on Wine Delivery with Special Offer! This is a sponsored conversation written in partnership with Winc. I received free product to facilitate my review. All opinions are my own. My husband and I are FAR from wine experts. We’re the couple who walks into the wine store and looks completely lost and confused. We don’t know the difference between a Pinot Noir and a Cab Sav and can’t what a wine’s tasting notes are. BUT- we enjoy a glass of wine in the evenings, and are slowly learning what we like. For us, a service like Winc is incredible. Winc is a direct-distribution global wine company that personalizes the entire wine experience! Winc helps you figure out wines that you will likely enjoy based on your responses to their Palate Profile quiz. Your answers help them recommend wines based on your unique tastes. No more wandering the aisles of the store wondering what to choose. No more picking wines based on the labels. (Totally guilty.) Now, with the help of Winc, you can get personalized wine picks delivered straight to your doorstep! We’re not usually red drinkers, but when going through the Palate Profile quiz, I asked Winc to recommend 2 whites and 2 reds – hoping to expand my horizon a bit. The 2015 Rosa Obscura Red Blend was highly recommended based on my Palate Profile quiz, so I was happy to give it a try. Let me tell you – Winc knows what people will like! My husband and I were so pleasantly surprised. I can’t wait to break into the Pinot Noir from Folly of the Beast I selected. I appreciated getting to try wines that aren’t readily available at my local grocery store. It was neat getting to sample wines I may not have access to without the help of Winc. What new favorite will you discover with your first order?